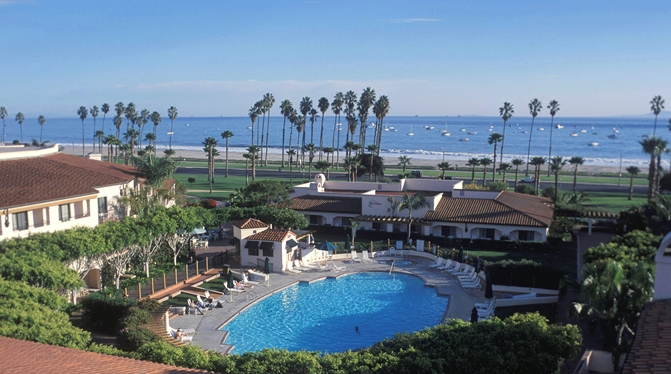 If you've ever gone to the Fess Parker Double Tree Hilton in Santa Barbara, you know that it's on Calle Puerta Vallarta. Before it was built, in 1985, the street was called Punta Gorda. If you speak Spanish, you know that Punta Gorda means "Round Point" (or fat point) in English. Like all of the original names of Santa Barbara, it goes back to the days of old Spain, and "round point" was what, apparently, sailors saw as they approached that area. I've looked on maps and I don't see anything that looks like a round point, but I guess they did. At the very least, Punta Gorda isn't exactly a romantic name. And even people who don't speak much Spanish know that "gordo" means fat. And the first word is easily confused with a very bad word. Ask your Spanish-speaking friends, I'm not going to write it here. So Fess pulled some strings and got the name of the street changed. A wise thing to do! By the way, Fess Parker had to get the approval of the citizens of Santa Barbara to build his resort. Even though he owned the land, Santa Barbara was very fussy about what could be built. And he couldn't do it at all if the citizens rejected it. So, in addition to everything else he did, he would be there, in person, on his property, talking to people who walked by. 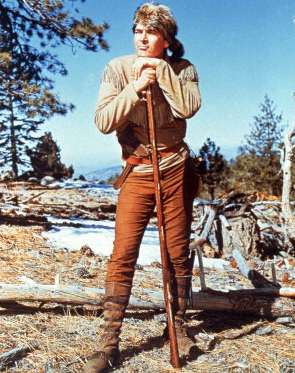 I remembered him from his TV show "Daniel Boone" - where had an eye like an eagle and was as tall as a mountain. I scoffed at the idea that a big celebrity like him would just be there, hanging around, until one day I heard him say "hello, gentleman" as I was walking by with a friend. It was him! His hair was white, but his voice was exactly the same (very low and rumbling) and he was indeed as tall as a mountain.